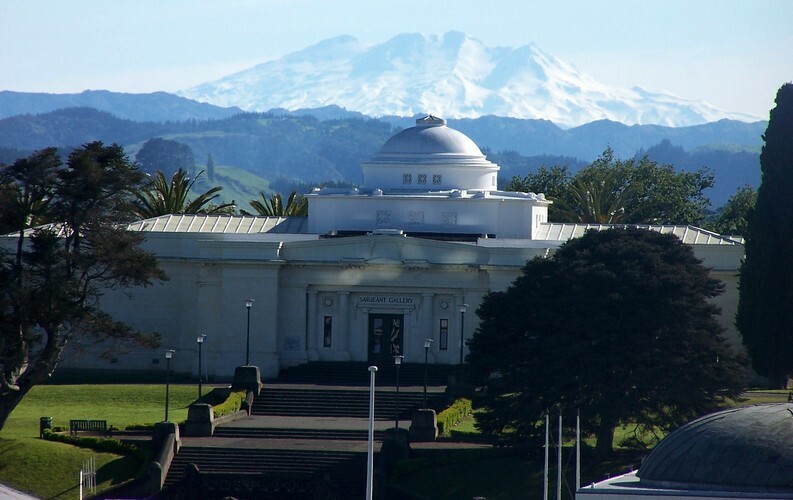 Wanganui's Sarjeant Gallery is one of New Zealand's finest and most historically important art galleries, renowned for its neo-classical architecture, natural lighting and magnificent display spaces. The Gallery's permanent collection has over 6000 artworks which include a collection of early 19th and 20th century British and European works and contemporary New Zealand art, with photography as a key focus. Work by New Zealand artists was first acquired in 1926, and increasingly this has become the primary focus. The existing New Zealand collection is a significant and comprehensive holding of art from the 1840s until the present day. Major holdings of individual artists include Gretchen Albrecht, Robert McLeod, Warren Viscoe and Rodney Fumpston. The Sarjeant is committed to endorsing the profile of these and other artists both nationally and internationally. The Gallery's rich holdings of the works of Edith Collier and Philip Trusttum are amplified by very large loan collections.